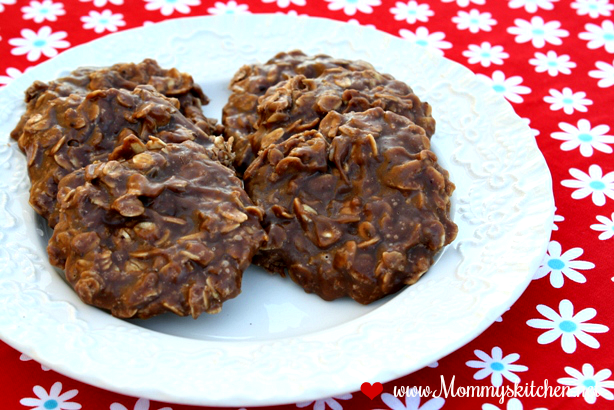 Old Fashioned Chocolate -Oatmeal No Bake Cookies aka Preacher Cookies, Cow Patties or Fudge Cookies. 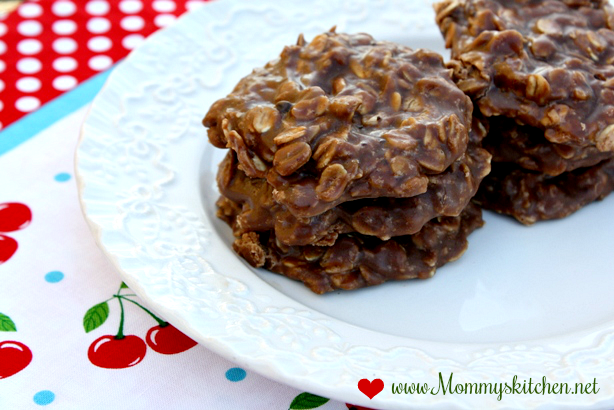 Today I made one of my sons all time favorite sweet treats.... Old Fashioned Chocolate No Bake Cookies. He absolutely loves these cookies and could eat the whole batch if I let him. Even though they're his favorite the first couple times I made them for some reason the cookies never set up correctly. Everyone says I don't let the mixture boil long enough, but I followed the recipe exactly and it was still a mess. After poking around a bit online I found a different recipe, so I thought I would give it a try. I wanted to surprise my son with the cookies since the last time they were so disappointing. I followed the recipe exactly, but I used evaporated milk instead of regular milk. I had plenty of cans of evaporated milk that needed to be used, so I went with that. I'm happy to say that the cookies turned out perfectly and I was so excited. My son was so surprised to see those cookies cooling on the counter, he said mom you did it!!!! ❤ I told my son I remember eating these cookies when I was a kid, so it's nothing new. He told me geez mom it must be an old recipe cause that was the olden days..... little stinker!!! I told him that back in the day people used to make these cookies and refer to them in the so called olden days as Preacher Cookies or fudge cookies at Christmas. 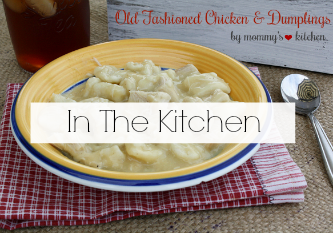 This recipe is probably a lot older than he and I will ever know, but it's definitely still a very popular recipe. I hope your family enjoys these cookies as much as mine does. In a medium sized sauce pan over medium-high heat add butter, sugar, cocoa powder or chocolate squares, milk and salt. Remove from heat and stir in peanut butter until completely melted and vanilla extract. Add the oatmeal and mix well. Working quickly before the mixture cools and thickens up drop the mixture by tablespoon (I use my small cookie scoop) onto wax paper or foil. recipe yields: about 2 dozen cookies depending on the size. Cooks Note: The key to getting these cookies to set up properly is letting the mixture come to a true full rolling boil then set the time for 1 minute and 15 seconds and let the mixture boil. 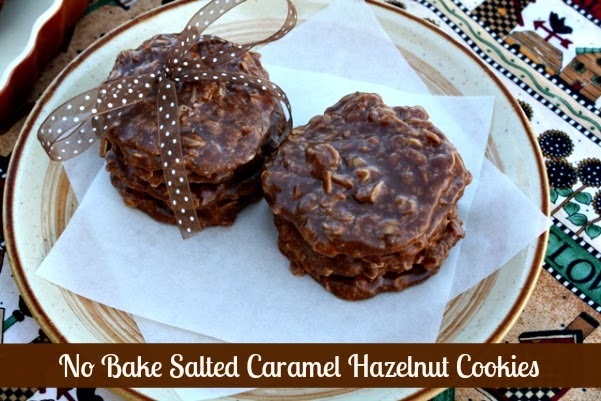 If you like Salted Caramel, try my No Bake Salted Caramel Hazelnut Cookies! Oh wow I bet that would be good without the cocoa. I have another recipe that has coconut and marshmallows added, i might try that one next maybe omit the coconut because my kids dont like coconut. But it still has the peanut butter, cocoa and oatmeal. yum. 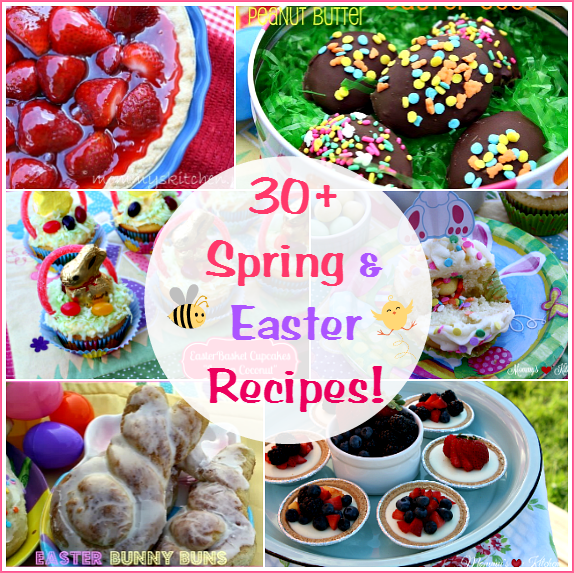 Sounds like this recipe is a keeper and they look really yummy! this is my son's favorite cookie recipe also. He is 31 yrs old. Yes, this is an old recipe cause my Mom made it for us when I was a child. YUM...haven't made in a while, you have motivated me. I love no bakes! They are a classic! those look delicious! 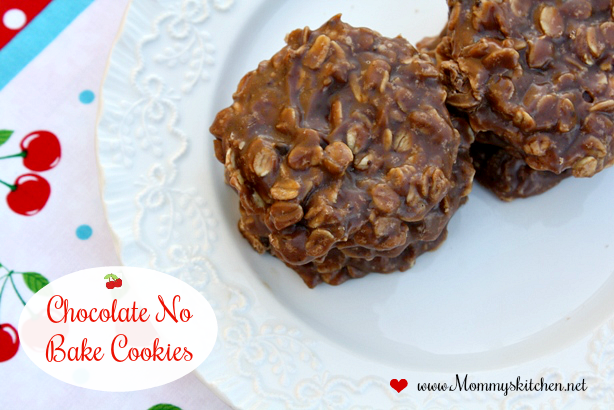 no bake cookies are so good. Tina this is my favorite cookie I had lost the recipe a long time ago. Mom always added coconut but I left it out this morning and they are simply yummy. You know I love your site. Hi Lynn, thank you so much for stopiny by MK. We love these cookies, finally my little guy likes them as well. He could never get past the oatmeal texture but now he loves them as well. Last batch we made they were gone the next day. They are a favorite at the holidays on my cookie trays. It is always the oldies that are the goodies. My mom made these for me as a child and it was always a favorite. I make them every Christmas for my family as well. We leave out the peanut butter so it is just chocolately. YUMMY!! 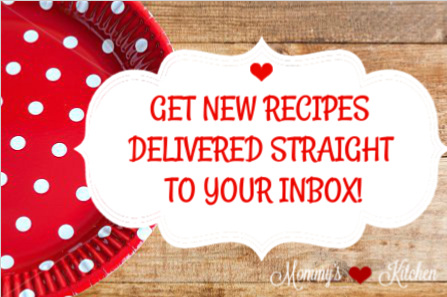 I just stumbled upon your blog - what YUMMY recipes you have! Anyway, I, too, had these cookies a lot when we were growing up. However, we called them something much less sophisticated...we called them "cow patties"! 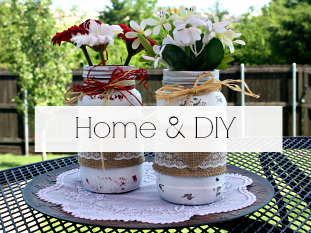 I have made these for yrs as well. My 83-year-old mom has had the recipe forever. The only 2 things we do differently is use 1/2 a stick of butter to cut down on calories and 4 T of cocoa instead of 3. Taste great with no difference because I accidentally made them a few times with a whole stick of butter when I did it from memory, then realized we had usually used 1/2. Anyway, they are winners every time. Yes, you do have to watch that cook time. I have also had them come out too soft and needed spoons to eat them! Would you mind if I use one of your photos on my Facebook page? Just made these, we left out the peanut butter, but still delicious! Trying to think of a snack that I did not have to use the oven and heat the kitchen up during the hot weather that Indiana is suffering through--so I made these yesterday. Your recipe is exactly the same as mine other than I add a 1/2 coconut. These, too, are a favorite since my childhood home. Our school cafeteria also made these back in the early 1960s. You can tell that this recipe is a favorite - the recipe card is tattered and has so many stains on it - proof that it has been used many times. Im 51 years old and Ive been making these cookies since I got the recipe from elementary school, they used to sell them at school for 3 cents a piece. I have used a lot of different things in them besides oats...you can also use raisin bran, cheerios and rice krispies or my favorite is to add raisins to the original recipe using the oats. These cookies are the best! Okay, I'm going to make these using your recipe. I have made them for years but mine never set. What am I doing wrong? Thanks so much. Love, love your blog. Try substituting Nutella for the PB. Tasty stuff, yo. My mama made these for me when I was a kid & they are still my favorite! I haven't had them in years, but tried your recipe this morning - turned out perfect!! What can I use if I don't have any butter? please help I have everything besides butter !! You cannot make these without the butter in this recipe. The only thing I can say is substitute with margarine, but keep in mind the result may be different or the recipe might not turn out at all. My son asked for these cookies instead of a birthday cake. We always add coconut but otherwise it's the same great recipe. 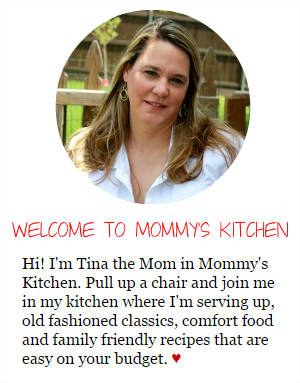 Thanks for posting, I had lost my recipe. Thank you for this recipe. I tried making them with a different recipe and they never set up correctly. These are awesome!!! They set up quickly, perfectly! Do you think I could use splenda instead of sugar? I can't have sugar. 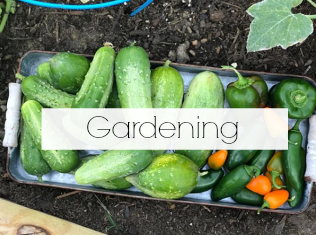 Can't make them on a too hot or humid of a day. Made them with my Mom and that is what she always said. I have tried to and found she was right. Made these with my mom and she always said, and wrote on her recipe card that you can't make them on a very hot day or a humid day. I have found my Mom was right. You also for some reason can only make one batch at a time, can't double. I have been trying to make these cookies for years. 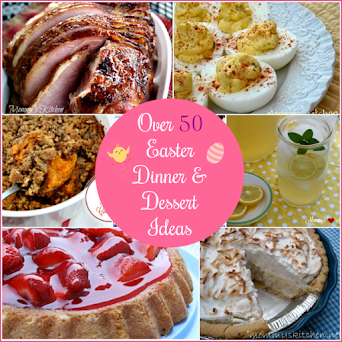 Have tried several recipes. This one really works!!! Thank you so much. Just made them and they were perfect! I make these cookies at least once a month and have always doubled the recipe. I have lots of canned evap milk in my pantry,but never thought to use it undiluted for this recipe, Maybe I will now if you say it works better. Hello! Just wanted to clear out if I am not having waxed paper what can be the substitute for this thing? I was once told they would not set up if you use anything but a wooden spoon, but I don't own wooden spoons and minne have turned out, so I think it might be certain recipes, I remember my grandma making these when I was little. If I don't have wax paper or parchment paper on hand I just use foil. A few things can effect the setup of these cookies. The weather is one if it is really humid it can make them sticky. I always hated when they did that but my kids actually preferred it. Go figure. You can use margarine but be careful as some have a higher water content and will not work. We used Parkay growing up but I use real butter now. These are my favorite cookie and now I am happy to say my childrens. Share the love. Manuel it isn't a weird questions at all. There are a lot of men that cook and even famous chefs. I think that is so sweet of you to make cookies for your girlfriend. I have never tried powdered milk, but I don't see why not. Just make sure it is prepared and try it. Really powdered milk is just milk that is un prepared. LMK how it goes. These cookies can be a stickler sometimes,so if they do not turn out keep trying, because you will get it right. Practice makes perfect. hahahha im sorry about the "men cooking" ... cause my friends and i had never cook since we feel "oh thats awkward man !!! " ... haha ... the powdered milk works !!! thanks for this wonderful site. sorry for the "men cooking" thing i have said ... the powdered milk works :) thanks ! Manuel, I wouldn't use powdered milk, because it tastes nasty. I love these cookies. My recipe you make them in the microwave. Was so happy when I found this recipe. I made some tonight. They are cooling now. I was so excited to find this recipe! I am 52 years old; and my Mom made these for me and my brothers and sisters when I was a child. I remember standing by the side of the stove, watching her add the sugar, cocoa, butter and milk to the large saucepan.Such a labor of love! God, she was beautiful! We lost her to a brain tumor 6 years ago; and I know while I am making these delicious cookies, that tears of love and remembrance will probably fall into the mixture. Thanks so very much for helping me to capture a few moments of my childhood, and of my precious Mom! This makes me so happy!!! I love that food can bring back memories and love. It is the same for me when I make my moms Christmas Butter Cookies. She passed 4 years ago and my dad last month. It's so hard when we lose our parents, but so beautiful when we find something that reminds of the past even if it is recipe. I am so thankful I can pass on recipes and memories to my children and when we make them we feel just a little bit closer to our loved ones. Growing up we made a similar cookie but, sometimes we used the fried Chinese noodles instead of the oatmeal. You can add peanuts to it also for a change of pace! 1 pkg of butterscoth morsels, 1 pkg of chocolate chips.. melt together and add Chinese noodles..the hard ones..drop on cookie sheet..let harden. I have made No-Bakes for years. My receipe is a little different. 2 cups sugar 1 small can evaporated milk 1 stick of parkway. Heat in a sauce pan . Once a spoon is dipped in and does not feel gritty from the sugar. Take off heat and add 1 small box of chocolate pudding the kind you cook NOT instant, a heaping spoon of peanut butter, 1 tsp vanilla and 3 1/2 cups quick oats. I just made 4 batches to give out. The longer you cook the butter, sugar and milk the harder the cookies will be. I like them soft so dont cook it long.